Stamp Design Workshop - 19 May ! Learn how to design and make your own rubber stamp from scratch! Join designer and crafts genius Kristen Kong and create your own personalised rubber stamps. Stamps have existed in one form or another since around 500AD in the form of wax seals. The rubber stamp was invented in 1839 – when Charles Goodyear dropped some rubber on a hot stove! The stamp is highly creative and accessible way of decorating your diary, adding character to to a letter or even making cards for friends! The workshop will start with tea/coffee and biscuits, before a brief introduction by Kristen.You will then be guided every step of the way though the process of creating your own unique art work, letterhead or pattern. All materials will be provided on the day, as well as abundant visual recourses such as templates, books, and cut outs to get ideas from. Talented Art Fair this weekend ! Great fun painting this. In collaboration with Shoreditch Walls. 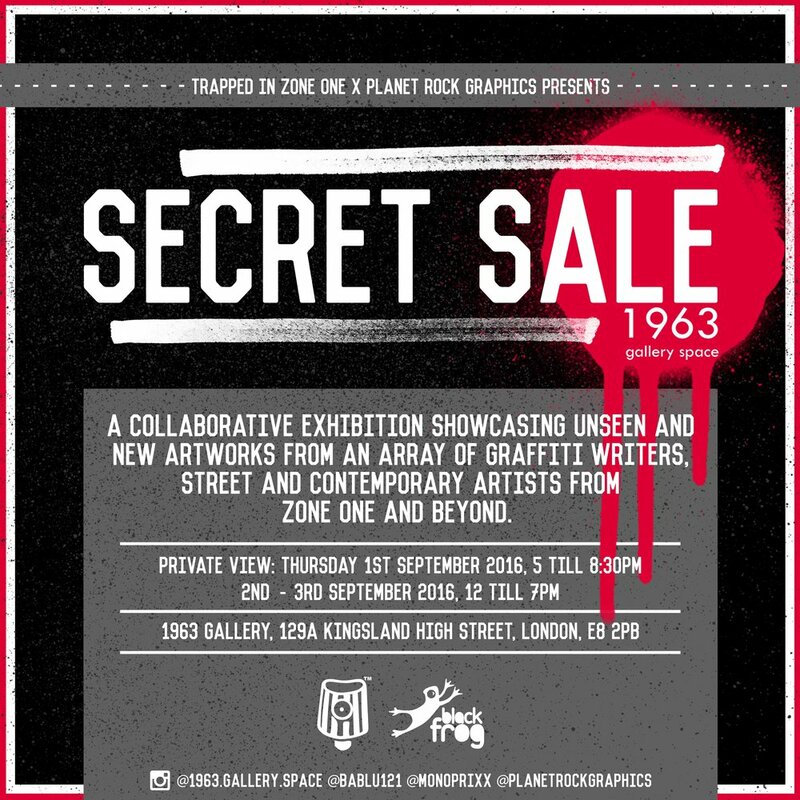 Secret Sale exhibition I appeared in recently. Just discovered how to add a gif....expect more of this. I thought I'd start my blog off with an image of the cargo bikr I use sometimes to transport my art work from one place to another. It's great to do art fairs and comic cons, but one doesn't always want to drag a heavy load on to a bus or a train. `the csrgo bike is great for such occasions.